Did I Say Yesturday, The Most Precious Metal Bullish Quote Ever? Well, Trump Took Just 24 Hours To Top It! Man, do I keep crazy hours! Seriously, I am now averaging four hours per night of sleep; to which I can only say, thank goodness for my 24/7 gym, and a laptop equipped with hundreds of podcasts, and thousands of Amazon Prime TV shows and movies. As for tonight, while I’m writing at the early hour of 11:00 PM Wednesday, I went to sleep at 9:30 PM. I wasn’t planning to get up, but after getting kicked in the shins playing soccer this evening, it hurts so much, I can’t get back to sleep. Thus, considering I have podcasts scheduled at 8:00 AM and 9:00 AM; and that today’s principal topic is so obvious; I figured I’d write it now, whilst the pain remains so acute. And please don’t email to tell me I need more sleep – as my body will do what it wants, and I don’t just like, but love writing at such odd hours. Anyhow, by obvious, I mean our “Commander-in-Chief” is living up to my greatest pre-Election fear, honed over a lifetime of watching “the Donald”’; i.e., an ego so large, he would rather destroy the world than be perceived as “losing.” Which unfortunately, is exactly how Kim Jong-Un feels, too; i.e., the lunatic megalomaniac, with a Napoleon complex, running a totalitarian state in spitting distance of Seoul, Tokyo, Beijing, and…Guam, where the U.S. operates one of its largest military bases. But before I get to the quote that, just 24 hours after attributing the “most Precious Metal bullish quote ever” to el Presidente himself; and two weeks after proclaiming to be the “most Precious Metal bullish I’ve ever been”; not to mention, 12 hours after Bitcoin’s SegWit protocol locked in – i.e., the “gold Cartel’s worst nightmare”; consider that, whilst Cartel-suppressed Precious Metals are trading at their “lowest inflation-adjusted prices ever”; PPT-supported stocks are trading at “dotcom valuations in a Great Depression Era” – as exemplified by the following, unfathomably damning charts, of 1) stocks’ highest-ever – by a huge margin – price/sales ratio; and 2) also by a huge margin, stocks highest-ever net debt/EBITDA ratio. Throw in the essentially 100% correlation between equity market valuations and Central banks’ cumulative balance sheets – let alone, what they hold “off balance sheet”; and you can see how stocks, and bonds, are so hopelessly addicted to low interest rates and quantitative easing, rates can never be reduced, and monetization must exponentially increase. I.e., the definition of a Ponzi scheme – of which, today’s global version is by far history’s largest and most destructive; quite obviously, amidst the final stages of its terminal, malignant phase. To the contrary, Precious Metal demand, amidst the weakest Western sentiment in memory (care of unprecedented 24/7 price suppression, and equally relentless equity support), global demand remains stubbornly near record-high levels. This, as two decades of price suppression has left Central banks’ “manipulation inventory” at “fume” levels; whilst Cartel-crippled supply continues to inexorably plunge – likely, for years to come, in gold, silver, and platinum. Well, before the ink on this quote dried, our “Commander-in-Chief” topped it; again, by a large margin; when once and for all, he proved that, contrary to his campaign promise of reducing America’s military entanglements (whilst LOL, proposing dramatic military spending increases), he may actually be a bigger warmonger than George “WMD” Bush and Barack “Nobel Prize” Obama combined. And heck, perhaps even Hillary “I’ll do anything to invade Russia” Clinton. Which as you can imagine, prompted Kim Jong-Un, mere days after proclaiming North Korea’s ability to reach Chicago with an ICBM; and hours after “unnamed sources” “confirmed” Pyongyang’s possession of miniaturized nuclear warheads, capable of being incorporated into its long-range missiles; to suggest it might conduct a pre-emptive nuclear strike on the U.S.’s Guam military base. Which in turn, prompted America, as I write, to mobilize its Pacific Air Forces, in a joint effort with its allies in Japan and South Korea. In other words, setting the stage for yet another U.S.-provoked war; which frankly, has more “nuclear potential” than any in global history, aside from the (U.S.-enacted) Hiroshima and Nagasaki detonations, and the (U.S.-provoked) Cuban Missile Crisis. 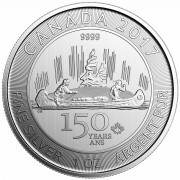 In other words, if there were any remaining doubts as to whether one should consider PROTECTING one’s assets with the best “wealth life preserver” man has ever known; at a time when the “historic valuation anomalies” caused by unprecedented price suppression has made them historically inexpensive; they should be, care of the two aforementioned “most Precious metal bullish quotes ever,” put to rest, NOW. 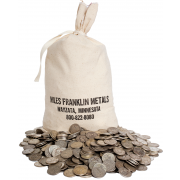 To that end, Miles Franklin Precious Metals has been in business for 28 years without a single registered complaint. And thus, if you are interested in buying or storing physical gold, silver, or platinum, we humbly ask you to call us at 800-822-8080, and give us a chance to earn your business. Andy, i so appreciate your honesty about the precious metals! For years regardless of the sentiment and what is going on they are the only investment that remotely makes any sense at all.Thank you for confirming what i knew to be true. Andy: Just heard you on FSN. Brother, you were ON FIRE!!. I gotta listen to it again. You were talking so fast, my feeble mind could not absorb it all. 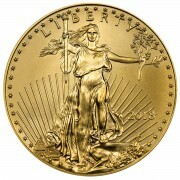 Bobbi, I have followed precious metals for many years. Nobody knows the answer to that question. My perspective is simply this: focus on the physical market. Any asset is worth whatever people perceive it to be worth. 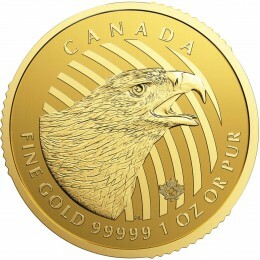 If and when there is a physical shortage of precious metals, than and only then can it reach market value. Coupled this fact with the declining purchasing power of monopoly money (federal reserve notes), the purchasing power of Precious Metals should increase greatly in the coming years. Thank you Andy for your articles. Andy, I’ve got to get you back to Independence Township, Michigan for another summit. It has been too long!